David Powlinson is a well-known CCEF counselor, writer and speaker at biblical counseling conferences. Also a member of the Board of ACBC (formerly NANC), he has produced many books, presentations and mini-books on a variety of practical topics. Along with Ed Welch’s writing, I find Powlinson’s material to be extremely helpful…not just as a biblical counselor in training, but for my own personal edification. Powlinson uses Scripture to counter this man-centric reasoning, which distorts the nature of the human heart and the reasons why people believe lies about God. Seeing God through the lens of an abusive, remote, or disinterested parent denies the power and truth of how God actually works through His Word and Spirit. Axiomatically, insisting that one must first experience a corrective human relationship to believe the reality of God’s fatherly love is essentially to turn Almighty God into an almighty psychotherapist. It is a sad fact that those of us who had abusive parents (especially of the “religious” variety) often project those images onto the true God. There is a hurt and a betrayal that doesn’t just go away the moment we became Christians, and Powlinson acknowledges this. However, having sinful (or even evil) parents, of course, does not mean God is that way, so why do we often twist our view of God? Powlinson doesn’t let us off so easily – and his clear, compassionate but uncompromisingly biblical angle makes us sit up and listen. This backwards, create-your-own-god philosophy comes from Freud and Erikson, not the Bible, and caters to our sinful tendency to find excuses and reasons for unbelief. Whether we want to admit it or not, we are prone to look for excuses and blame outside ourselves for our false beliefs and sinful behavior. As with any false belief or assumption, this view of God as remote, severe or capricious must be countered with Scripture itself – the living and active Sword of the Spirit, and the only way God has chosen to reveal Himself to us. Powlinson points out that we change when we see what God tells us about Himself, as portrayed in Isaiah 49:13-16 (a nurturing Comforter); Psalm 103:10-13 (compassionate Father); and 1 Thessalonians 2:7-12 (gentle, encouraging and comforting Father). Ultimately, the sacrificial love of Christ in coming to die for rebellious children displays the pinnacle of what God’s fatherly love is – an historical fact from which counselees often feel disconnected. Of course, these are only a very small sample of all the Scriptures revealing God as the perfect Father; one of the specific steps Powlinson recommends the reader take is to go through the Bible, finding specific truths that contend with the lies and cravings he identifies in his thinking about God. “There ought to be a battle going on within you daily as God’s light and love battle your darkness,” he advises. This booklet is extremely helpful not only in defining the problem, but also in countering it on biblical terms and pointing the reader back towards the only source of truth and help – the Word of God – for the solution. Additionally, in true biblical counselor form, Powlinson leaves the reader with nine well-thought-out, probing questions to work through in order to identify and change warped thinking about God, due to parental abuse or poor relationship. I plan to tackle them myself, and expect it will take me at least three months to fully explore and resolve them. God desires His children to know Him as He is, not to view Him through the warped lens of fallen humanity! This little book is a helpful, convicting resource to help Christians struggling with a “dysfunctional” past not to use that as an excuse to keep God at arm’s length. I highly recommend it for counselors and counselees alike. Elyse Fitzpatrick is who I want to be when I grow up. Of course, I mean that completely in the Ephesians 4:15 sense of “grow up”. The ability to articulate the simple, profound truth of the Gospel and its implications for day-to-day life as beautifully as Elyse has in “Because He Loves Me: How Christ Transforms Our Daily Life”speaks of a real spiritual maturity. Her passion, from the first page of this encouraging book, is for her reader to have the same joyful, settled assurance of Christ’s love that she herself has found in the pages of Scripture. Why is it that so many of us recognize our need for the Gospel – the Person and work of Jesus Christ – for salvation; then slowly move past the Good News in our daily strivings to “please God”? We come to the Cross for justification, but practically live as if sanctification depended solely on us. Elyse spots this tendency – which often leads to a moralistic, defeated attitude – and reminds the reader of the only antidote: applying the finished work of Christ to our continually sinning hearts. Weaving the entire thread of Scripture around a central point – that God FIRST loved us – Elyse shows how getting this knowlege of His deep, abiding, personal and unfathomable love for us down into the very marrow of our bones completely changes everything. In fact, it transforms our whole identity – who we reckon ourselves to be. If we see ourselves as “foster children”, who can be evicted or abandoned at any moment, we will live like it. Realizing we are a permanent, cherished part of the family – His adopted children – transforms our hearts and enables us to live for Christ in His strength. As she writes on page 148, “Any obedience that isn’t motivated by His great love is nothing more than penance.”Well said. How does the Gospel message impact our walk, 10, 20, even 30 years after our conversion, when we can rattle off the Doctrines of Grace like the days of the week? This young lady sincerely loves God and wants to please Him, but her words reveal that she has fallen into the trap so common to all of us: living as if our position before God is based on our own merit. When did any of us, in our “best” moments, EVER “deserve” His forgiveness? We didn’t. Christ secured it for us – while we were still His enemies. We forget this. When we succeed, we feel good and can worship. Failure brings shame and a fear of approaching God, which naturally leads to more failure and despair. We are, as Elyse points out in this book, essentially not trusting God that He is as good as He says He is. This is unbelief, and it leads to idols. When we don’t feel fully secure in our position in Christ – solely based on His righteousness and grace – we seek the satisfaction that should be found in Him alone through counterfeits. Putting our trust in these “earthly treasures” leads to fear, worry, and anxiety – which leads us ever further away from the Cross. Freedom from fear comes from contemplating and remembering the love of God, manifested in Christ. As I have written before (and Elyse so much more articulately), change in our behavior can only come from truly realizing and appreciating who God is and what He has done for us. Knowing that His kindness is what has led us to repentance (Romans 2:4) motivates us to love Him back, and approach Him with confidence. 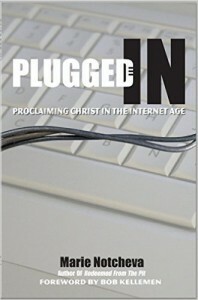 Our ‘identity in Christ’ (as Elyse refers to it; I might use ‘position’) is permanent and irrevocable. It is what frees us up to walk in love. Far from minimizing the seriousness of sin, Elyse reminds the reader how costly it was to God – and invites her to rest in this reality. At the same time, we are thus enabled to “wage a vicious war against sin” – the imperative (command) that naturally follows the indicative (what God has already declared to be true). Every sin, from greed to sexual immorality, is a failure to love as we’ve been loved – at its root, unbelief. The key to walking in freedom and joy, then, is remembering that we’re beloved children, redeemed by Jesus, set free from the power of sin. This settled confidence produces thanksgiving ane edifying speech, rather than complaining and bitterness. This is what applying the Gospel to every area of our lives looks like in practice. I have been recommending “Because He Loves Me” to women who write me about their specific struggles, as well as counselors and anyone else who would benefit from the reminder of what Christ’s perfect life, love, cross, resurrection and intercession really mean to us as we grow in Him. In short, everyone reading this would likely benefit from the encouraging and joyful explanation Elyse presents on the synergy of God’s grace and our response. Like C.J. Mahaney’s “The Cross Centered Life”, “Because He Loves Me”trains the reader to reflect more deeply on the finished work of Christ on her behalf as a catalyst to worship, rather than presenting sanctification as a spiritual self-help plan. 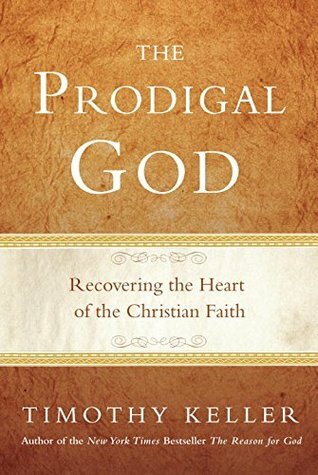 “The Prodigal God” is that, but Keller goes much deeper. While not justifying or condoning the obvious rebellion of the world’s “younger sons”, Keller zeroes in on the heart issue of the self-righteous elder brother – and how pervasive that attitude is in the Church today. 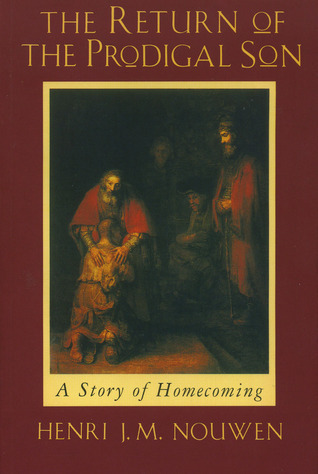 Like Henri Nouwen in “The Return of the Prodigal Son”, he notes that the parable might be called “The Parable of the Two Lost Sons” – the Elder Brother’s “lostness” being more insidious and dangerous than that of the Younger. Unlike Nouwen’s open theism (God is “powerless” to do certain things), however, Keller staunchly upholds the Sovereignty of God – and the depravity of man. This is not a message just for new believers; but for hardened or cynical long-time Christians on their way to becoming “elder-brotherish“, as Keller so tactfully puts it. The solution, of course, for both “brothers” (and their counterparts in the modern Church) is, of course, the same – to recognize their need for a Savior, and accept that grace that will change their lives from the inside out. Keller puts into simple terms what many biblical counselors have explained, exegeted and diagrammed over the years: true, lasting inner heart-change is not catalyzed by a “just try harder” attitude. The grace-infused life does not come about by behavior modification; rather, by gazing on and appreciating the beauty and all-satisfying love of Jesus Christ. Like John Piper, Keller illustrates plainly the necessity of believing, experiencing, “tasting-and-seeing” that the Lord is good. Keller makes the reader feel and empathize with the soul-sickness and insecurities of each brother, including the common human longing for “home”. The desire, hard-wired into the human race since the original exile from Eden, is designed to help us find our way back to the Father. While we may know He stands at the threshold waiting to welcome us back, our desire to be our own “savior” (either through self-fulfillment or moralistic piety) tends to keep us away from the Father’s house longer than necessary…and we never “outgrow” the need for welcoming, lavish, “prodigal” grace. This small book is a convicting, yet encouraging reminder of why we run – and that Jesus, the perfect, redeeming “Elder Brother”, has paid our way back into the family. This review of Phil Ryken’s “Loving the Way Jesus Loves” was originally published on The Biblical Counseling Coalition website. Loving the way Jesus loves is a daunting task, yet one to which every one of His followers is called. Phil Ryken approaches the central calling of the Christian’s life by walking the reader, slowly and deliberately, through 1 Corinthians 13, the “Love Chapter of the Bible.” Less an exegetical treatment of the text than a life application, Ryken’s approach in Loving the Way Jesus Loves is to show us that love is a Person—Jesus Christ—and not a “feeling” nor an abstract theological concept. He states it plainly: “The biggest challenge for us here is not to understand what Paul meant but to do what he said.” (76). Ryken establishes the necessity of biblical love more than any other attribute, then goes on in subsequent chapters to demonstrate how each characteristic of love mentioned in verses 3-13 is personified in Christ. Throughout the book, he emphasizes that all of the virtues mentioned in this passage are verbs; attributes we are to put into practice by imitating Christ. Interwoven throughout his discussion of each aspect of love—patience; kindness; selflessness; trust; etc.—are scenes from the life of Christ which underscore how He Himself demonstrated each virtue. Christ’s refusal to become provoked or irritated takes us to the shores of Galilee, at the end of a long day of ministry (Mark 6:7-13). Forgiveness is tenderly demonstrated in His restoration of Peter (John 21:15-17). Examining our own hearts in light of Christ’s responses to people, we learn how to anticipate our own temptation to become irritable (what Lewis Smedes calls a “spiritual readiness to get angry”), and where it comes from: putting our own wants ahead of other people’s needs. By dissecting irritability (and the other opposite attitudes of those mentioned in the passage), Ryken illustrates in an every-day, non-judgmental way how we fail to love people and hinder our relationship with God. “Love lets the needs of others set our agenda, rather than letting our agenda limit how much we are willing to serve” (55). The answer is yes, but to think of love in terms of duty is to miss the point. The problem, as Ryken summarizes, is that “we are less loving than we think we are, and a lot less loving than we ought to be.” Therefore, we need to learn how to love—and this begins our journey into understanding the heart of Jesus. Love is as love does; and through His interaction with other people (most of whom did not reciprocate any kind of affection, let alone charity), we learn to see what love looks like. The Gospel, the Good News that we are loved undeservedly and unconditionally, is what transforms our hearts – from that of dutiful servants to joyful heirs. Throughout the book, Ryken draws the connection between outward behavior and inward heart change. In Chapter 4, Love’s Holy Joy, he explains that rejoicing with the truth (v. 6) goes beyond theology and morality by taking us to the dinner table of Simon the Pharisee. More than warning against participation of sin, however, love does not rejoice in the wrongdoing of others. A subtle sense of satisfaction may creep in when another—especially a rival—falls into sin. What Paul is pointing to (and Christ demonstrated through forgiving the sinful woman) is the joy that comes with a personal experience of God’s grace—and what we rejoice in vicariously when another tastes it. This transformational, selfless, joy-sharing love is what motivates true Christ-like compassion. What better way to cultivate patience towards a fellow believer, than to appreciate a holy God’s patience with us in coming to repentance! In order to appreciate the multi-faceted love we see in Scripture, Ryken probes deeply into the self-centered human heart in order to understand how and why we fall short. In every failure to forgive; to be long-suffering; to trust—there is an idol. We prize our own comfort; security; reputation or convenience. By contrast, a heart transformed by the forgiving grace of God will be preoccupied with extending the same blessing to others. Ryken shows how our hearts can be truly transformed by grace: “First it takes our failures and forgives them. This gives us so much gratitude that we start loving Jesus in return. But that is not all. The love of Jesus then enables us to serve others with the same kind of love.” (171). This attitude—giving freely what we have freely received from the hand of God—applies, of course, not only to forgiveness; but to every other loving behavior-attitude listed in 1 Corinthians 13. Far from being a “behavior modification” chapter, Ryken shows, through simple anecdotes and the life of Christ, how to “put off” unloving human reactions and “put on” their godly opposites. His life, example, and personal involvement in ours is what transforms our attitudes and motivation towards others. In this practical and compassionately-written book, Ryken helps Christians of all stages see how walking in love is a natural consequence of living in the overflow of God’s intense, personal, and active love for the believer. This review, which I wrote in 2012, originally appeared on The Gospel Coalition’s site. William P. Smith. Loving Well (Even if You Haven’t Been). Greensboro, NC: New Growth Press, 2012. 288 pp. $15.99. William Smith and I have a lot in common. We are both biblical counselors. We both write about God’s grace. And we both go bananas when our kids slam the doorknob into the drywall. In Loving Well (Even if You Haven’t Been), Smith, director of counseling at Chelten Baptist Church in Dresher, Pennsylvania, explores the believer’s need to internalize God’s love for us as individuals in order to build strong, edifying relationships with others. In this well-written and easy-to-identify-with book, Smith explores 15 aspects of divine love and how, through grasping them, we grow more intentional about extending grace. My young friend was on to something: experiencing the love of God is foundational to transformation. Smith observes that how we perceive God will inevitably affect how we treat others; therefore, we need an accurate view of God. Seeing him as the initiating, pursuing God of all comfort (rather than a dictator or detached deity) enables us to reach out to others. Moving toward suffering friends, building others up to reach their full potential in Christ, and enjoying genuine fellowship are three categories Smith examines. Part I deals with comforting love, confessing struggles, and forgiveness. Moving sympathetically toward those in pain is the model of how God approaches us. In his humanity, Jesus invited the presence of others in his own deepest trials (e.g., Gethsemane). The suggestion that we may actually help a hurting person by our mere presence is refreshing to those of us trained not to let a counselee “vent” or just talk about the problem. Is “just listening” beneficial? Doesn’t compassion move us to action? Yes, when appropriate. In later chapters, Smith explores the outworking of serving and giving, but when a friend suffers, often the most loving thing to do is simply be there. True intimacy demands letting friends see the depths of our hearts. Drawing on Christ’s transparency with his followers, Smith gives helpful ways to respond to a friend who opens up her life. However, two realities coexist: we sin, and we’re sinned against. Smith demonstrates that a truly forgiving friend must see the lengths to which God will go to forgive and restore relationships—beginning in Eden and culminating at Calvary. Smith asks the rhetorical question, “Did God set himself up to be sinned against?” (52) and explains that God allowing sin in no way undermines his sovereign plan to reveal his mercy and goodness. Relieved that Smith upholds a high view of God, I agreed that incidents of sin, unavoidable between friends, lead to opportunities to extend forgiveness and thus chances for others to behold the goodness of God through us (Rom. 6:1). While Smith promotes reconciliation, a discussion of repentance was largely absent (though he later touches on the subject of gentle confrontation). Likewise, we read of Smith seeking forgiveness from his child after “losing it,” but how did he then deal with the child’s defiance that preceded the angry confrontation? In Part II, Smith examines the importance of edification and service. Understanding we’re served by Jesus marks the difference between believing we’re “here to be served” and joyfully extending service to others. Drawing on Paul’s example with diverse individuals, Smith demonstrates true friendship is based far less on commonalities than on a mutual friendship with Christ. The “pursuing love” he unpacks depicts “lost sheep diligently pursuing each other” (101), since that’s what they’ve experienced themselves from the Good Shepherd. Accountability, then, is simply an element of transparent friendship. Smith provides an apt metaphor for counseling: “Do you see God’s gracious attitude toward those who are in trouble? He wants shepherds who will give themselves to the work of building up and pursuing people who are damaged and lost . . . who actively pursue the hurting sheep in order to nurse them back to health” (105). Encouragement lies at the heart of “one-anothering” in healthy churches. God deals with straying children by pleading, warning, and instructing—expressions of his love, and the foundation upon which all counsel, exhortation, and edification must be based. Though “fellowship” is a somewhat overused term in evangelicalism, it is the true sense of Christian fellowship to which Smith devotes the final section of the book. The image of Christ emptying himself and the Father welcoming unfaithful sinners shapes how we greet and interact with one another. “Reshaping our world for the sake of someone else” grows out of reverence for Christ. Smith also discusses unbiblical submission by denouncing the error of domineering, one-sided relationships. Verbal and emotional abuse are too rarely addressed in biblical counseling literature, but Smith encourages change motivated by concern for both persons’ spiritual health. All of God’s commands regarding love reveal his relational heart. The warmth Christ has for his “friends” (John 15:15) comes through the pages of Loving Well. Enjoying true friendship with a personal God doesn’t diminish his majesty; it enables his children to display his likeness in their own relationships. Tying Scripture to real-life situations, Smith takes a relational approach to the process of biblical change—change that cannot help but occur once we’ve tasted God’s goodness personally.